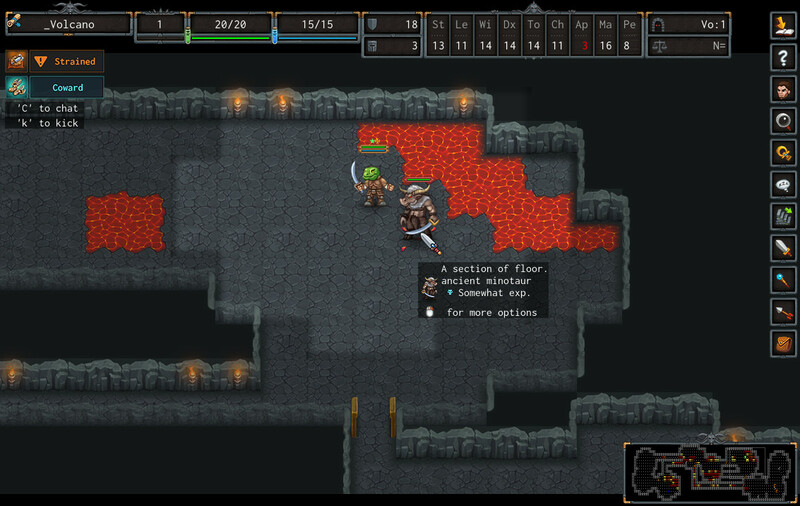 Roguelikes are not for the faint of heart, but when done right, they’re immensely addictive and fun. One title, Ancient Domains of Mystery, was originally released in 1994 and now it’s getting a major facelift as Ultimate ADOM. This means new graphics, new features and massive customization options. It will even have Unity support, helping it stay relevant as new features are added. 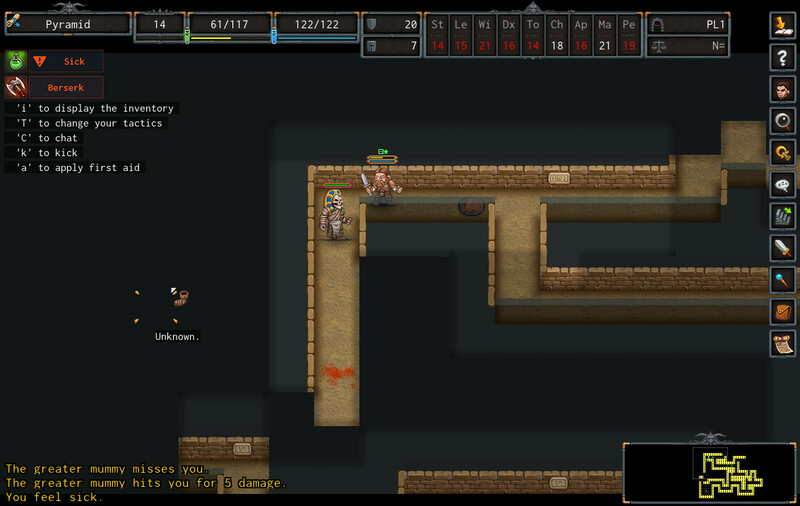 I admit I hadn’t heard of Ancient Domains of Mystery, but I also wasn’t into roguelikes until a couple years ago. 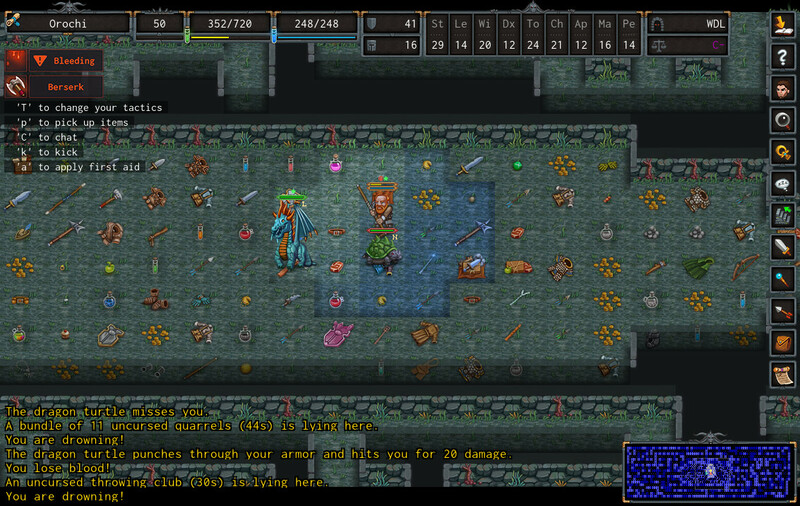 If you like roguelikes, be happy, as Ultimate ADOM is coming to multiple systems – mobile, PC, Switch, PS4 and XBox One. To read more details about the upcoming release, just read below. How did Chaos come into being if everything is Gaethra’s dream? Just a passing nightmare? Or a sign of madness…? Adventurers started to wander through the known lands, challenging the forces of Chaos and sometimes falling to their lure. Battles ensued, and finally a Champion of the free people arose to defeat the overlord known as Andor Drakon. Equipped with mighty artifacts, the champion challenged Andor Drakon to a final decisive battle and then something went awry. Exactly what is left to speculation. Maybe the champion fell to a trick of Chaos. Maybe an artifact caused a cosmic chain reaction. Maybe Gaethra awoke. We probably will never know for sure. Where there once was but one Ancardia, now there are limitless variants of Ancardia co-existing in space and time. Powerful mana wielders have even discovered ways to connect to souls in these other realities – even for but a brief moment. The unifying element seems to be the continuing struggle between Order and Chaos – once limited to Ancardia, now a grim reality on countless worlds very similar to each other. Before you, the entrance to the ultimate ancient domains of mystery loom. Are you brave enough to step in? Choose from 12 star signs, 12 races, and 22 classes to create your character. Explore a vast randomized world with endless options: hundreds of dungeons, over 460 monsters, more than 840 base item types with infinite variations, 47 spells, 41 skills, and 100 talents! Dive into a deep storyline about the battle between Order and Chaos – and discover a multitude of endings. Grapple with corruption: Special mutations make you more powerful but also bring you closer to your end; power corrupts, absolute power corrupts absolutely. Be part of 25 years of development – and immerse yourself in an unprecedented level of depth and detail. Play the game with both ASCII and tiled graphics + audio (with 61 hand-crafted musical scores at the time of this writing). Partake in a fantastic and lively community. Enjoy the fruits of a full-time development team’s labor. Experience the world of ADOM with brand-new graphics and visuals in a much richer, bigger, and more flexible environment build. Immerse yourself in the endless ADOM multiverse in a variety of games customized for different styles of play – ranging from a highly flexible RPG system on desktop computers and slightly more casual location-based experience on mobile devices to additional action-oriented variations on consoles and handhelds. Tinker and experiment with updated magic, crafting, and modification systems. Mix and match more character customizations than those offered in classic ADOM. ADOM (Ancient Domains of Mystery) [Deluxe] is available on Steam (Windows, Mac, Linux) for $14.99. Ultimate ADOM is currently in development with an expected release window of Q4 2018.